Ingredients: Full Terpene Spectrum CBD, Natural Watermelon, Strawberry & Coconut Flavours, Vegetable Glycerin, Propylene Glycol, 0% Nicotine. 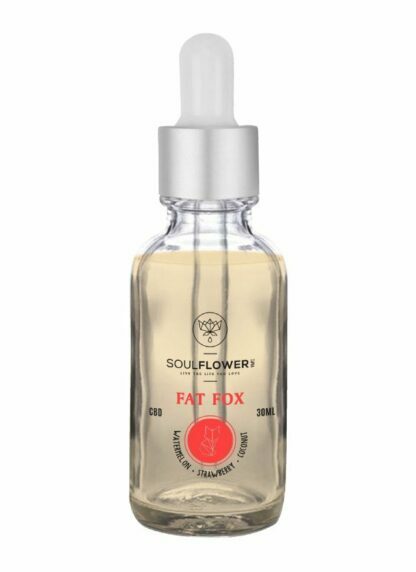 Cannaco Soulflower Fat Fox CBD Vape Juice is expertly made with Full Spectrum CBD, which is carefully mixed with the perfect ratio of Natural Watermelon, Strawberry & Coconut flavours and converted into a delicious CBD vape juice. The CBD is bonded to glycerin in a proprietary process that unleashes the flavourful terpenes and flavonoids for use in any standard e-cig tank or vape device. 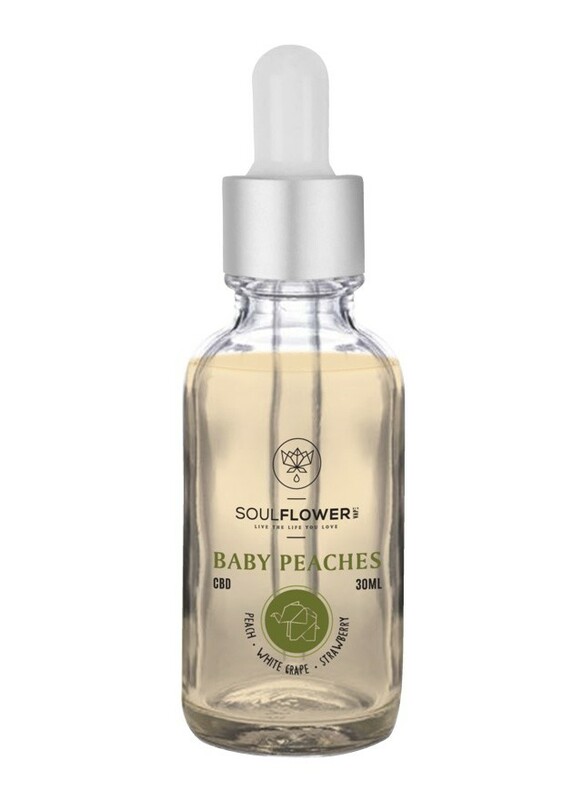 Soulflower CBD Vape Juice contains CBD and various other cannabinoids and is made up of Vegetable Glycerin and Propylene Glycol for a balance of big clouds and full flavour. Our quality vape liquid uses only the choicest quality food grade and pharmaceutical ingredients. Our flavours are Diacetyl free, Acetylpropionyl free, Acetoin free and Alcohol-free and Our Propylene Glycol and Vegetable Glycerin is USP grade. CBD is known to have a calming, anti-anxiety effect. Unlike psychoactive THC, CBD does not cause a “high”. This makes CBD a great choice when you need to stay clear-headed and focused. Full Terpene Spectrum CBD, Natural Watermelon, Strawberry & Coconut Flavours, Vegetable Glycerin, Propylene Glycol, 0% Nicotine. Use in any vaporiser of choice as a normal vape liquid. With vaping, the effects are instant. You can decide right away if you need more to get the effect you’re looking for, or whether you’ve had enough. Very tasty vape and not too sweet with a hint of the plants natural profile. Would be nice if there was a stamp on the bottle indicating the full spectrum batch content of cbd in mg.